Enhancing clinical performance and patient experience, Royal Philips (NYSE: PHG, AEX: PHIA), a global leader in health technology announced the launch of theEPIQ Elite ultrasound system, a new premium ultrasound that combines the latest advances in transducer innovation. 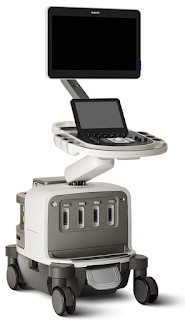 EPIQ Elite offers a range of diagnostic ultrasound solutions tailored to the needs of specific medical specialties, including Philips’ first solution for vascular assessment and diagnosis. In addition, EPIQ Elite for Obstetrics & Gynecology delivers extraordinary image quality and lifelike 3D scans to provide advanced fetal assessment during all stages of pregnancy. The ultrasound features an exceptionally high level of clinical performance, workflow and advanced intelligence optimized for the most demanding clinical situations. Through this technology, Philips expects to equip clinicians with detailed information thereby resulting in diagnosis that is more confident. The advanced system combines new display technology (24inch HD Max monitor – 40% brighter than OLED technology) and innovative transducers (XL14-3, V9-2, L12-3 Ergo and mC7-2), enabling accurate outcomes as well as enhancing overall patient’s experience.